If you've got a blocked sink or toilet, you'll want it unblocking fast! 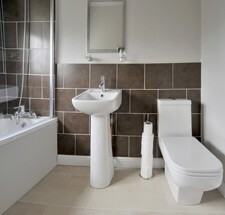 So call now and an expert plumber will be with you in a flash for sink and toilet unblocking. We know it can be a real pain if you're unable to use your sink or toilet at home, so we'll soon have it back in working order for you. Got a blocked drain? We can provide an experienced and qualified plumber to clear it for you. We don't charge call out fees for drain clearance or any other plumbing tasks, including emergency call-outs, and we offer free estimates.